TV reboot of Michael Crichton's cult sci-fi thriller. Westworld is a science fiction series initially broadcast on the HBO cable channel in the United States. The first season premiered on October 2nd of 2016 and ran for 10 hour length episodes. The show stars Evan Rachael Wood as Dolores Abernathy and Ed Harris as the man in black, and is based upon the 1973 Michael Crichton film of the same name. While normally I work to keep my season one reviews spoiler free, the events in this series make it all but impossible for me to do a thorough review without giving some things away. So, if you have any intention of watching this series, I would recommend you stop reading now. Westworld is one of those classic SF films that I feel has not aged well. Whenever I look back upon it I always find myself thinking about how it would be so much easier to do with virtual reality today. As a result, when the series was announced by HBO I wasn't all that excited to check it out and, in fact, I ultimately had to catch up towards the end of the first season, as I found myself always being more interested in watching something else. Fortunately, based upon the strength of the writing, these concerns ended up being reasonably addressed within the series. For those unfamiliar with the original film, Westworld is a sort of roleplaying amusement park for adults in an old west setting with robots playing the part of the world's inhabitants for the human guests. In the series the robots are called hosts and are also programmed to steer the guests into pre-programmed adventures while also catering to their every whim. The series opens with a clever little play on perspective where we see someone - who we are lead to believe is a guest - enter the park, only to find out that he is one of the hosts. He is playing the hero, but has been set up to take the fall at the hands of a guest dressed in black (Harris) playing the role of the villain. This little vignette is a solid introduction that sets the tone for the series as a whole. In the show, we see not only the guests within Westworld (from the host's perspective as much as the humans), but also the operation of the facility through the army of staff that maintains it. The guest experience is presented from two perspectives. The first is the man in black and the second is the pair of William (Jimmi Simpson) and his business colleague Logan (Ben Barnes). It is William’s first visit and he is brought there by Logan, who wants to see his fellow employee’s true character, as Logan feels that William’s nice guy persona at work is nothing more than a façade. We see the park's staff perspective from a number of different people, but our main view is from Bernard Lowe (Jeffrey Wright) and one of the park's original two designers Dr. Robert Ford (Anthony Hopkins). Ford, along with his partner Arnold, who died 30 years earlier, began work on trying to create robots that could pass the Turing test. While this simple goal was enough for Dr. Ford, Arnold became obsessed with creating true synthetic intelligence. Around three years into the effort a company named Delos showed up with interest in purchasing the project with the ultimate goal of monetising the technology via creating an adult oriented amusement park. Being involved in research professionally myself, I found the scenario an uncomfortably plausible one. While Arnold was against the idea of making money from the project, Ford and the need for continued funding for their research won out. Of course, Arnold's concerns are ultimately born out when we see that the success of the park involves a race to the bottom with extremely wealth guests paying top dollar in order to screw and/or kill their way through the host population of Westworld. It turns out to be an extremely adult oriented amusement park. The series spends a good deal of the story focusing on the effect that this lawless environment has on the human guests. 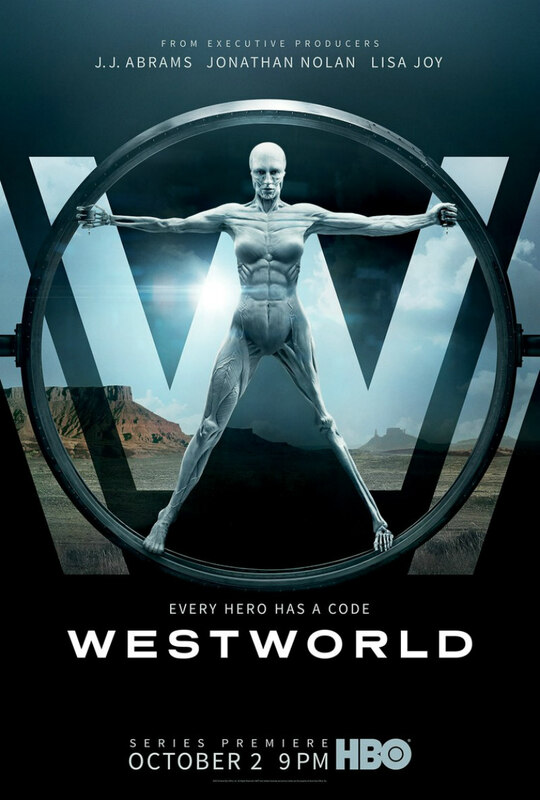 However, the series is really more about how two of the hosts achieve consciousness (or not) in the form of Dolores and Maeve (Thandie Newton). Both of these hosts follow very different paths towards this goal but, of the two, I personally found Maeve's story more compelling. This is largely because while Dolores stays in the same role within the park, Maeve ends up getting repurposed after a traumatic run in with the man in black that forced her off of her program. In fact, it is this incident which results in her reassignment. One of the big reveals in the series is that the man in black and William are actually the same person, with William and Logan's story line being an undisclosed flashback to William’s first visit 30 years earlier. This is one of those artistic liberties that I can see having the potential of being polarising to some viewers. In my younger days I would have applauded it, but, with time, I have become more concerned with good storytelling. In this case, we have an idea that I felt did create a hindrance to the clarity of the story being told. While I had been made aware of this idea around episode four, it took me a few episodes to get my head around which timeline each scene, which didn't include William or the man in black, took place in. I had already agreed to write this review prior to the conclusion of the series and ultimately felt I had to re-watch the entire series from the beginning in order to be able to make sure I fully understood everything before doing so. As much as I enjoyed the series, it's not clear to me I would have done this had I not committed to writing this review. The re-watch definitely clarified a lot of the story for me. During it I caught something in episode three with regard to Dolores's timeline that looked to me like it might have been a continuity error. However, having thought about it further, this could have just as easily been some weak or deliberately misleading editing. Given the calibre of the writers involved with the series, I would tend to lean toward the latter. Maeve's timeline also left me with a similar feeling, although it is really more of a question of how things work within the world than a potential continuity error. In her case the writers might have been deliberately leaving us with questions that they wanted us to answer for ourselves. Comparisons to the original film, as well as its sequel Futureworld, are probably inevitable. Whereas the film was more of a horror movie with science fiction elements included as window dressing, the series has turned this completely around. The Westworld series is a fairly hard SF show with some horrific elements thrown in. In addition, some elements from Futureworld are included as well. More interestingly, we seem to now have a solid subgenre of synthetic intelligence based series starting with the reboot of Battlestar Galactica followed by the Swedish series Real Humans (which has been redone as Humans), and with Westworld as the latest addition. I’ll note that I haven’t had a chance to watch Mr. Robot yet, so that may be added to the list as well. This is one of those topics of science fiction that I find particularly fascinating, so I’ll definitely watch all that is available. Overall, I really enjoyed the series, even with the disruption caused by the hidden flashbacks. Another benefit of a second viewing was seeing how this arrangement was surprisingly well hinted at, but the agelessness of the hosts proved to be too effective a camouflage for me to notice upon my initial watch. I would recommend the series for any genre fan, but especially those interested in the question of what exactly it is that makes us human.